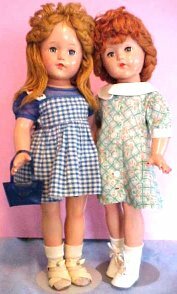 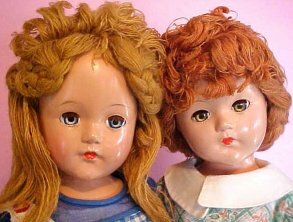 Although World War II created a shortage of many materials.........Little Lady was made available with a wig styled of yarn. 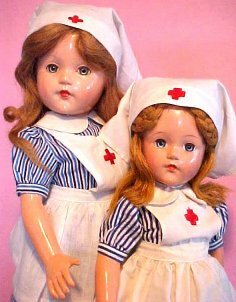 These particular girls are close to my heart. 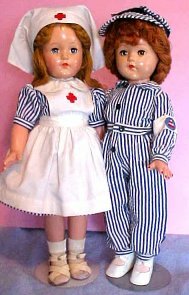 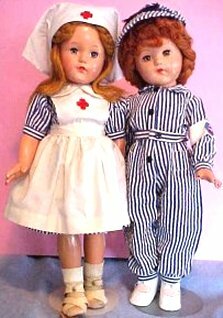 During the war years (1943) McCall's Needlework produced a pattern for the Little Lady doll which included a Red Cross Nurse uniform and a Civil Defense overall. 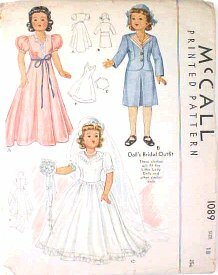 Another was available to fashion a wedding gown, my favorite suit ......which you see worn by dolls in the R&B section, and a hostess gown. 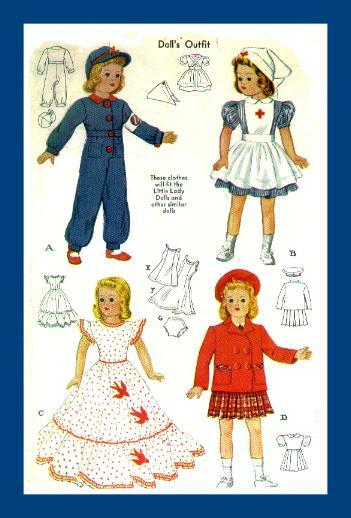 The following are clothing items........made during WWII ........from the patterns for Little Lady. 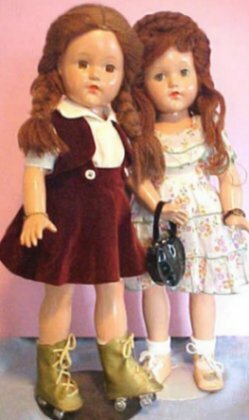 eBay has a rather large set of listings of vintage Effanbee dolls for sale, if you are interested in a purchase, or to find values if looking for costs, it is necessary to register with eBay. 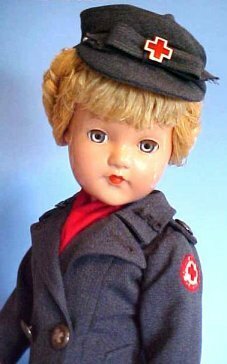 This magnificent girl is 27" ..........has the yarn hair.........and wears a spectacular Red Cross outfit.